To mark the centenary of Max Reger’s death in 2016, Graham Barber will perform his complete organ works alongside major works by J. S. Bach in a cycle of 36 concerts. The first concert of the cycle took place in Moscow at the Lutheran Church of St. Peter and St. Paul on 23 November, 2014. Further recitals are noted in the Concert Diary which is updated periodically. Each programme interweaves secular and sacred music and includes a sample of evangelical chorales, in many cases juxtaposing settings of the same text and melody by Reger and Bach. 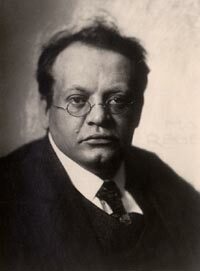 All programmes have indicative titles, some liturgical, such as Advent, Passiontide, Gloria, Te Deum, Organ Vesper; some thematic, such as Consolation, De Profundis, Ave Maria, Trauerode; and some defined by a major Reger work, such as Chorale Fantasy I: Ein feste Burg ist unser Gott (Op. 27), Inferno (Fantasy and Fugue Op.57), Seven Pieces (Op.145). As well as his complete original organ works, including those without opus number, Reger’s arrangements for organ of harpsichord works by Bach are also incorporated into the scheme. Performances will take advantage of the new, hybrid edition of Reger’s organ works from Carus-Verlag (published 2010 – 2014), which provides detailed, text-critical commentary as well as access to sketches, fair manuscript copies, proof copies and first editions. Programmes are mainly constructed with a three-manual organ in mind, but there are also programmes suitable for a two-manual instrument. The Bach repertoire includes the complete Orgelbüchlein, which Reger used as a model for his fifty-two chorale preludes, Op. 67, and many of the chorales from Clavierübung III and the Eighteen Chorales. Also included are all the major, free-form works by Bach: preludes, toccatas, fantasias, fugues, passacaglia etc. The programmes vary in length to accommodate a range of different performance opportunities. N.B. This project was completed in 2017. The last concert was given at Kingston-upon-Thames Parish Church on 23rd October.